Here we are, another month passed and we are heading into the lazy, hazy days of summer. I hope everyone is enjoying their summer so far and staying cool! 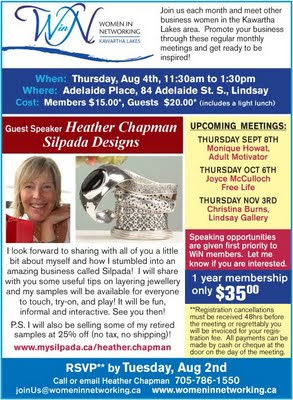 Thursday, August 2nd will be our next WiN meeting and I will be the guest speaker this time around. Full details below.